Spring is here, and racing seasons are starting! From the mountains to the track to the roads to the water, Athletes for Yoga are kitting up and racing hard! 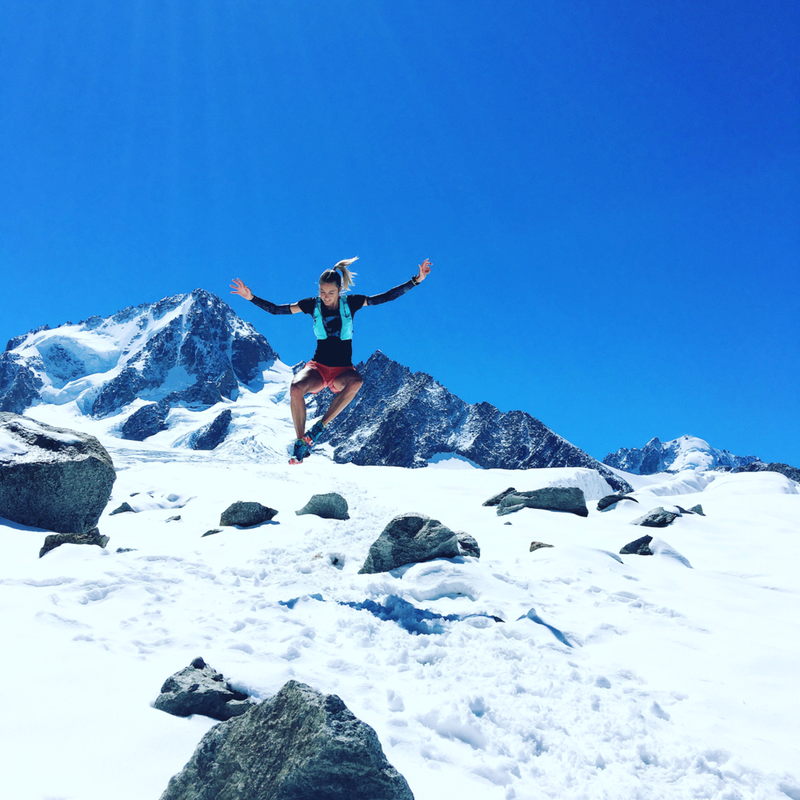 We caught up with Stephanie Howe Violett as she gets into her ultra season in earnest after kicking off her season with a wicked course record at Fourmidable 50k in Auburn and and a podium finish in a "brutal" Endurance Challenge race in Peru. After a year of injury it seems like 2017 was a year of hard-won building, and a big dose of soul searching. 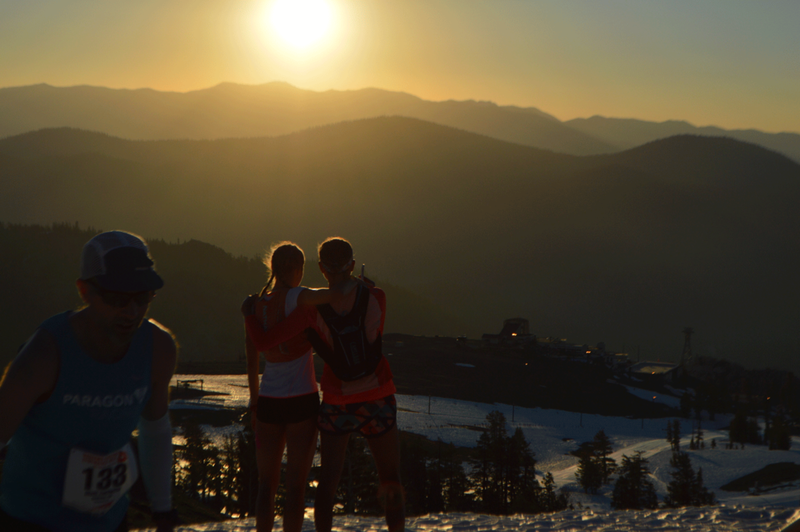 From a “tragically beautiful” WS100 in June, to a month in France and a grueling UTMB in September, to a six-week adventure of running, racing (for fun), and mountain climbing in Nepal… what did 2017 mean to you? 2017 was a year of gratitude. After a year of doubting my body, I was so thankful to be able to do the things I love. And that doesn’t just mean running! I love to travel and explore the world on two feet. The sun sets on WS100 2017. Despite really flooring yourself in two major ultra races, how did you keep from complete depletion and keep building? The struggle is an integral part of running the 100-mile distance. The possibility of something going wrong is high, and things can go south very quickly. Very south. Like Antarctica. Unfortunately, I had two of these experiences back to back. It’s not a great confidence builder and it made me question everything. That much suffering seemed really unnecessary. But, it’s also beautiful. These opportunities when I’m in my darkest place, and show me I’m stronger than I think. And I wouldn’t trade that for anything. Hard won UTMB 2017 finish. Your trip to Nepal might have looked really grueling to normal humans, but it was immensely restorative for you. Tell us more! Haha, yeah. We don’t “vacation light.” The trip pushed my limits in a different way. I haven’t done much alpinism, and we decided mid-trip to climb Island Peak (Imja Tse), at 20,305 feet. I was challenging for me in ways that running isn’t. I loved that. I also had a chance to meet some of the local Nepalese kids and did a couple runs with them. They absolutely melted my heart. The Nepalese have very little, but yet are happy. The long days of trekking (above 15,000 feet) gave me a lot of time to think. I needed that reset. I couldn’t imagine a more perfect place to gain perspective. Nepal "Vacation Race" at 17k feet above sea level! 2017 was, as we’ve covered, pretty loaded. You raced hard, against tough odds, but overall had a tone of gratitude. You could just tell no matter how hard it got, that you were so happy to be there after your year on the sidelines… what does 2018 look like? 2018 is more of the same! I kicked off my season a couple weeks ago with Fourmidable 50k down in Auburn. I set a new CR, which was impressive (to me) because my time last year was pretty stout. In early March I headed to Peru for a TNF event, running 80k in the hot, dry mountains. I don’t like to set performance outcome goals, because I can’t control what other people do. Instead, I focus on internal goals because they bring my best self to the start line. One of my top goals for this year is to start races better prepared. That means having practicing my nutrition plan before the race, preparing for the weather conditions, running on terrain that mimics the course, running at night to prepare for races where I will run through one and possibly two nights, etc. These might seem pretty obvious, but I haven’t spent a lot of time really preparing for specific race scenarios. Purposeful planning will also keep me focused and should help avoid some of those huge blows ups this year (let’s hope!). You’ve said you “want to work smarter, not harder” and “make an effort to focus more on recovery & give back to my body. “ Do those go hand in hand? What does that look like for you on a daily basis? Oh yeah that’s been huge! Instead of doing a second workout, I’ve used that extra time to recover. To give back to my body. And what a difference it has made! I can feel my body smile when I take the time to love on it. If I miss a day of body TLC I feel incomplete. 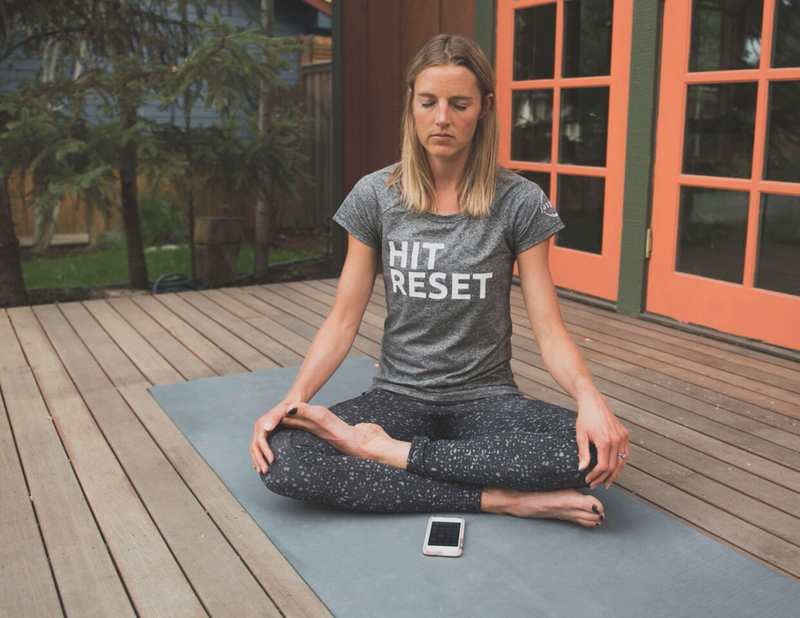 The reset has become just as much a part of my day and running. How has Work IN been supporting these goals? Work IN is great because it really helped me to commit to recovery. I like having a guided recovery plan that really supports my body. I think it’s too easy to skip recovery, but the Work IN plan really helps to keep me on track. It’s so great! April you race Lake Sonoma 50M, and then get down to it at WS100 and UTMB again! What are your big season goals? Or are you building them as you tick off the 50Ms? Same internal goals. Of course I’d like to finish on the podium in every race I enter, but it’s more important to me to focus on the process rather than the outcome. Your life is anything but stagnant, or routine, how to make the time to recover? What are your practical Jasyoga on-the-go tips? I take Jasyoga with me EVERYWHERE. It’s been to several different countries with me. I also like to use it in the airport sometimes. For on the go Jasyoga I pick videos with minimal props and that generally only last a few minutes like the 5-Minute Resets. I can ALWAYS find five minutes. Set yourself up for success! We absolutely can't wait to cheer Stephanie on this season! Her adventures are unbeatable, and never to be missed. Share your own adventures and journey with #athletesforyoga. Read all of Stephanie's blogs here. Get to know Stephanie at her athlete profile. And follow her on Twitter, Instagram, and on her site, stephaniehoweviolett.com.